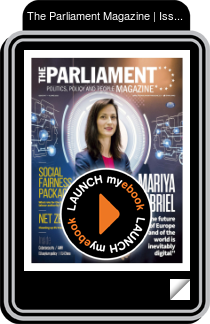 Mariya Gabriel interview, Digital Economy, EU Labour Authority, European Ombudsman, Emissions Standards, CyberSecurity, GDPR, EU-China, Migration, Future Of Europe, European Steel Day Gender Action Plan, EU-US and more. Mariya Gabriel's mandate may be coming to an end, but in today's fast-changing digital environment, the work never stops. She talks to the Parliament Magazine about GDPRimplementation, cyber hygiene, Netflix quotas and more.